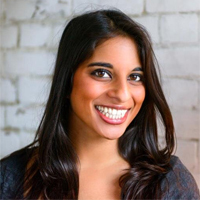 Guest blog by Anastasia Emmanuel (UK Marketing & Community Manager, Indiegogo). If you’re looking to raise money for a new business start-up or project through crowdfunding, there are certain things you can do to increase your chances of success. My top tips are the 4 P’s: Prepare, Pitch, Perks, Promote! You only have one chance to impress so make sure everything is ready. Take your time preparing your marketing plan, building your social media following and creating email lists. The first 30% of any Crowdfunding campaign will generally come from your ‘own crowd’, your friends and family and early momentum is so key. Soft launch and get around 30% in your campaign before getting any press or pushing your campaign out to your wider networks. Be personal, creative and transparent in your pitch video and the pitch text. Your video should be about the people behind the campaign as well as the ‘why’ and the ‘what’. Keep it under 3 minutes and have a clear call to action! Be clear about what you are raising the money for and what it will be spent on. Remember you are not begging for money, you are inviting people into your campaign. Having perks means you raise, on average 143% more, they help motivate people to contribute. Be personal and creative with your perks. Think about what you would like to relieve. People will contribute out of passion and participation but also because of great perks. Use limited edition early bird perks to gain momentum and create excitement. Think about perks that you can release mid-way through your campaign to regain excitement and get people funding when it goes a little quiet. £25 is the most popular perk, £100 is where you make most money! Once you have launched the work doesn’t stop! You need to proactively promote your campaign. Use the updates section on indiegogo as your blog, people want to know about the progress of your campaign, send 2-3 updates a week for milestones, eg Press, new perks etc. Founded in 2008, Indiegogo has already helped support over 200,000 people around the world and has launched a new campaign called ‘Go Crowdfund Britain‘ to help more people in the UK turn their dreams into reality. They also have lots of great resources on their ‘Indiegogo Playbook‘ site which is an ongoing team effort to offer you the most current and valuable crowdfunding expertise.